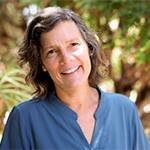 All students, faculty, and staff are invited to an evening with Jennifer Freyd, professor of psychology at the University of Oregon and a fellow at Stanford’s Center for Advanced Study in the Behavioral Sciences, as she discusses “Building Institutional Courage” on Tuesday, September 25, at 7:15 p.m., in the Bauccio Commons. None of us can go one day without encountering the effects of trauma, abuse and discrimination. All of us want to do something, but can be paralyzed in the very moment action is needed. This public lecture by an acclaimed expert in the field will provide gripping, relatable stories of bravery and light by individuals and institutions during unimaginably dark moments, and provide us all with ideas of what to say when we feel like we don’t know what to say, and how institutions can work to facilitate positive actions. Freyd’s work on betrayal trauma, institutional betrayal, and sexual violence has received multiple awards, including a Guggenheim Fellowship and invitations to consult with the 2014 White House on tending the wounds of sexual assault. A free follow-up session, “Building Courage UP,” will be facilitated by Sarina Saturn and Louisa Egan Brad on Wednesday September 26, at 7:15 p.m., in Bauccio Commons with panelists from a variety of campus organizations. These events, which are free and open to the public, are sponsored by the Garaventa Center, athletics, psychological sciences, residence life, Active Minds, Shiley School of Engineering, Health & Counseling Center, Shepard Academic Resource Center, Office of International Education, Diversity, and Inclusion, student affairs and Title IX, history department, College of Arts & Sciences, and NSF Grant BCS-1555596. For ADA accommodations or more info: garaventa@up.edu or x7702.